The coffee cocktail bar was founded by 2 owners – one with a background in coffee, and the other with experience managing a bar. They decided to combine their lucky numbers, seven and eight, with the Russian pronunciation of coffee – ‘Kofe’ – into the word Alcoholic, giving rise to the name 78 Alkofelic. This cafe and bar serves you your caffeine fix throughout the day. They are open throughout the day, and late until midnight. The coffee used in their brews and cocktails are primarily single origin Ethiopian or one of two blends of Ethiopian, Brazilian and Sumatran beans. Different blends are served on alternate days, and will be available for sale from mid-August. Regardless of time of day, the bar is always open. 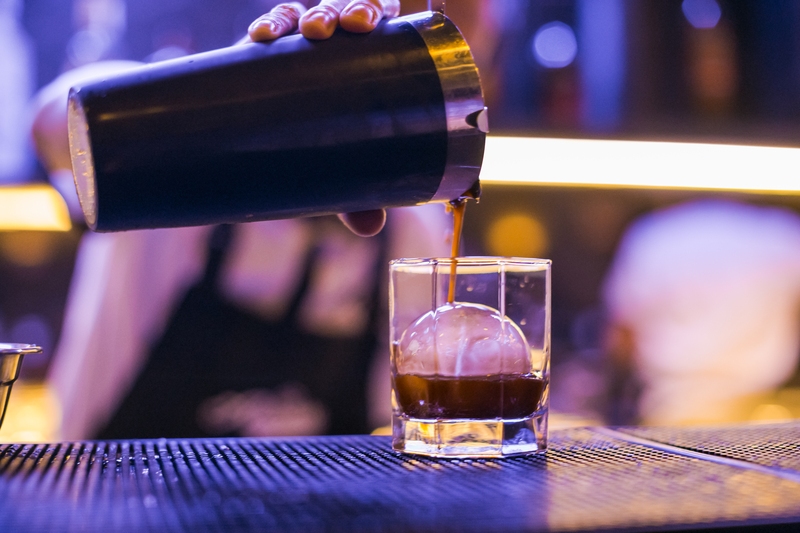 Customers can look forward to enjoying their signature coffee cocktails including Flying Singaporean, the Romeo & Juliet, as well as classics with coffee such as the Irish Coffee, Old Fashioned Coffee and Espresso Martini. The Flying Singaporean cocktail is the only coffee cocktail (that we have heard) served with Absinthe. Other cocktails come with a story. The Romeo & Juliet was invented by the bartender to show appreciation to his mother. It’s light, sweet and ladylike. This was a good start to the evening, and we are already hoping to meet his mum. Salwin also shared that there is no fixed position at his coffee bar. Everyone gets an opportunity to do different roles and this has helped in coming up with different cocktails ideas. The cocktail menu will change every three months, by swapping ingredients, or localising classic recipes further. We spoke with Salwin to get a sense of how Singaporeans are reacting to their coffee cocktails. Spirited Singapore (SS): How did you get involved with both coffee and alcohol? Salwin Sandhu (78 Alkofelic): Our story began in 2017 when our love for good quality coffee, yummy coffee cocktails and scrumptious comfort food motivated us to open up ’78 Alkofelic’. SS: What’s the story behind the bar’s name, 78 Alkofelic? 78 Alkofelic: 78 Alkofelic (Al-kofe-lic) is made up of a few parts. Our lucky numbers are 7 and 8. ‘Ko-fe’ is the Russian pronunciation of ‘coffee’ instead of the traditional ‘Cof-fee’. Alkofelic is derived from the root word of ‘Alcoholic’; we replaced the ‘coho’ and so came to be known “78 Alkofelic”. SS: What does ’78 Alkofelic’ represent? 78 Alkofelic: We are not just going to be an ordinary Coffee Café, we wanted to add a unique twist to the traditional coffee and expand into Coffee based Cocktails. SS: Is the Singapore customer ready to mix two of our favourite drinks? 78 Alkofelic: Most definitely yes! Singapore customers have embraced mixing two favourite food items into one with nasi lemak burgers, chilli crab curry puffs and mochi croissants. It’s only a matter of time before we do the same with beverages – in our case, it’s coffee and alcohol! SS: What’s the secret methodology behind the coffee cocktails at 78 Alkofelic? 78 Alkofelic: We take pride in making the best coffee we can, our unique blend of coffee beans are curated for the heavy and light caffeine drinkers. 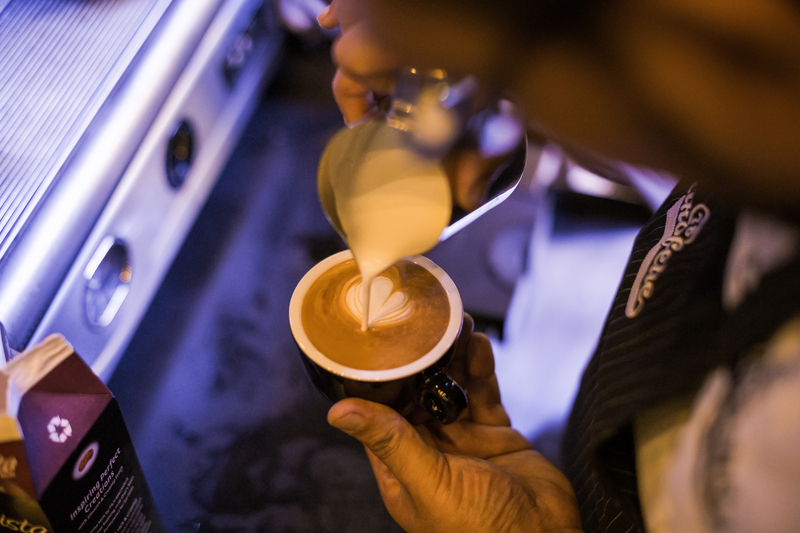 Our signature menu of coffee cocktails is what sets us apart from the other bars in Singapore. We have an entire cocktail menu dedicated solely to coffee based cocktails. Our bartenders (partners), hand crafted each coffee based cocktail and added their own unique twist each cocktail. SS: Personal favourite cocktail and why? 78 Alkofelic: The Old fashion; it’s a timeless classic cocktail. *Pictures are provided courtesy of 78 Alkofelic.